Malwina Galara was born on 22 September 1999 in Walbrzych. 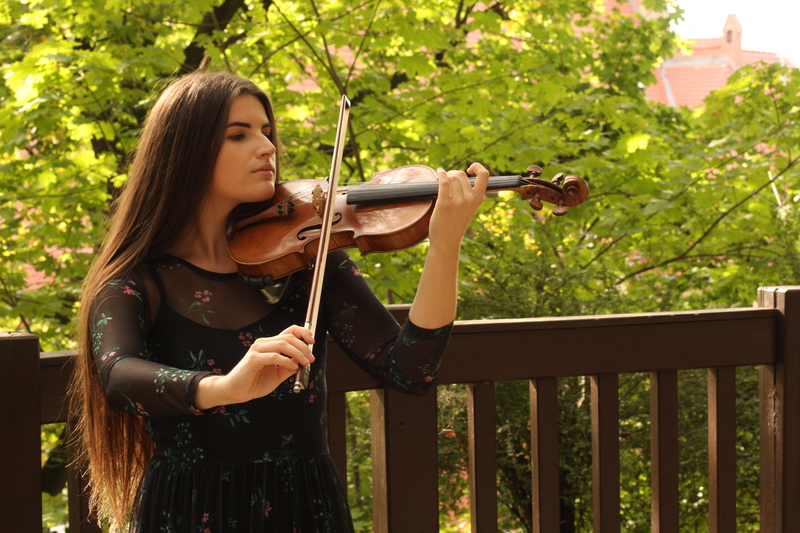 She started to learn the violin at the age of 6 at the Stanislaw Moniuszko State Complex of Music Schools in Walbrzych, where her teacher of violin was initially Magdalena Madela MA, and since 2013 – Dorota Graca MA. She graduated with honours in 2018. Presently, she studies at the I. J. Paderewski School of Music in Poznan with Prof. Marcin Baranowski and his assistant, Maxima Sitarz. She perfected her skills during master classes in Zychlin, Warsam, Naleczow, etc. In 2015 and 2016 she was member of the international Europera Youth Orchestra. In the 2017/2018 school year, she was awarded scholarship of the Polish Prime Minister.